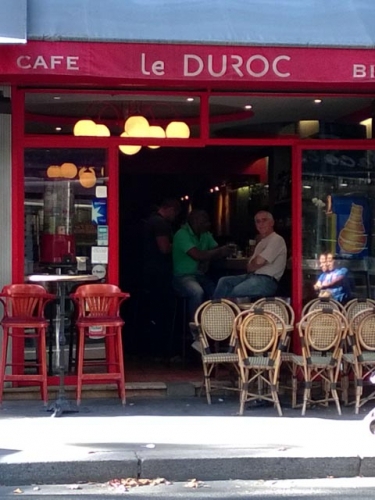 This afternoon, I cycled to that little café on rue de Sèvres where recently I had drank a mineral water with some syrup in it. This time I wanted a café crème, you know this mixture of coffee and hot milk served in a bigger cup. It is still summer here in Paris but the air is a bit cooler and it was too early for beer. The person operation this café is a charming middle aged lady. The place is small but nice. It is conveniently close to Duroc metro station. You still have some time ahead ! 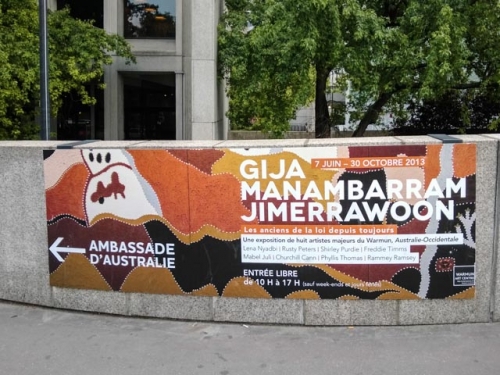 To-day I visited an exhibition of aboriginal paintings held at the Australian embassy not so far from the Eiffel tower. Yes, in Paris, did I forget to mention that ? If you do not like the crowds at Le Louvre or at D'Orsay, this exhibition is just for you. The paintings are hung in a huge room, almost a hall. It is free. It is quiet. Well I could picture myself hanging some of these paintings in my living room. Except there was no mention of prices and there was no one around to give explanations. I was there around tea time. 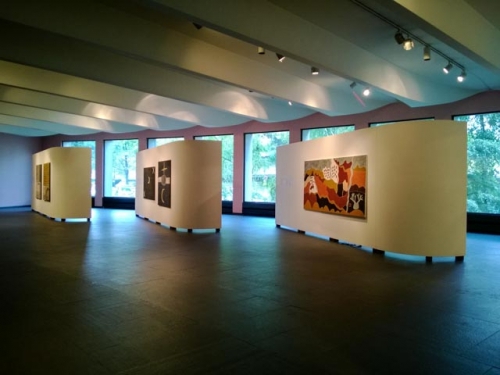 The exhibition goes on until October30th. Should you happen to drive through the Western part of Britanny there is one place you should clearly not avoid i.e. Huelgoat which is famous for its rock chaos and for its lake. 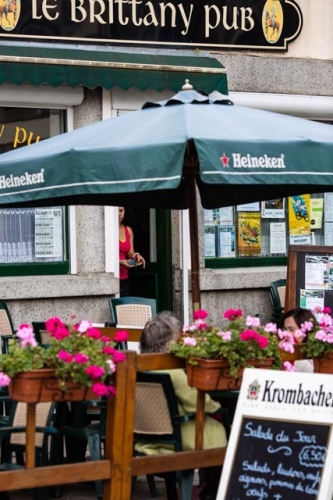 Located in the center of Arrée mounts (South of Roscoff where the ferry from Plymouth calls) the small town boasts a few restaurants and shops. 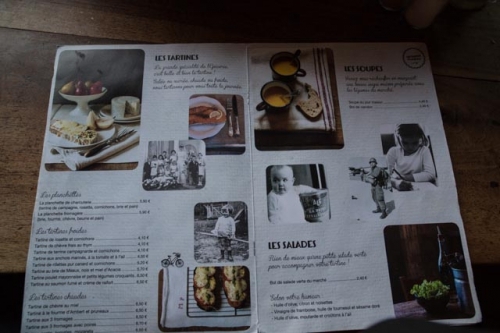 Most noticeable are a Mexican + Columbian restaurant and also just next door ' le Brittany Pub'. This last place is a paradox. The name first, the fact that the food is 80 p.c. English but the beers on draught mainly from North France. I can warmly recommend the dark beer the serve, it is excellent. The food is quite palatable and the waitress (a young local woman) is charming and helpful. Recently like most Parisian I left the Capital for a few days. 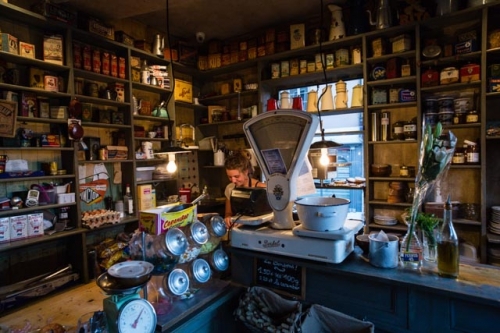 I thought I would mention this place in Rennes called 'L'Epicerie'. To any French person over 30 it will bring back memories of grand parents house in the countryside. The food is original and good. The service is young and very friendly. A little drawback is that the choice of dishes is limited. So one cannot stop there too often. Last Sunday evening I just felt I had to get some Asian food. It had been one of my favourite food, the one my mother would cook on special days. She was quite a good cook. And as so many people who had lived in Indochina she had fallen in love with this country, its population and its food. My feet led me to a red awning restaurant. Why this one ? It is hard to say. The tables outside were packed with clients mainly Asian. I took that as a good sign. One inside a middle aged matron led me to tha table. Her French was limited but I still grasped that she recommended the Tonkinese soup. At € 7.50 the large version I found it a good deal. A large bowl filled with noodles, meat balls, slices of beef and broth. On the table a plate with fresh peppermint, soy, onion rings one can add to the soup. It was a simple yet delicious soup. Some candied ginger and a jasmine tea completed a perfect dinner. 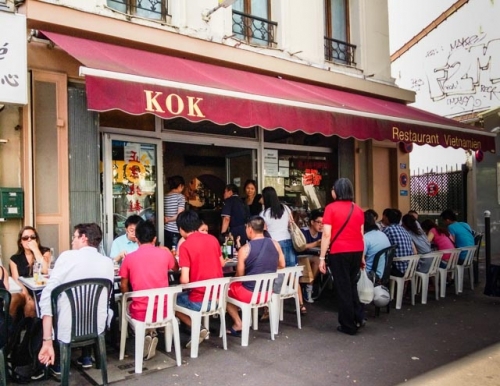 The place is named Kok and is located 129 bis avenue de Choisy in Paris 13th.